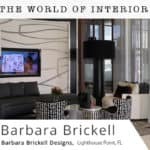 THE BEST HOME DECOR TRENDS FOR FALL 2015 HAVE BEEN AN ECLECTIC MIX OF SOFT FABRICS, BOLD COLORFUL PRINTS, AND RUSTIC MATERIALS. 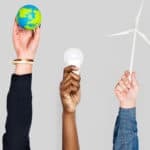 For many, changing their home decor for the season comes naturally, packing away the summer and bringing out transitional pieces for autumn. There are so many looks I am coveting right now! 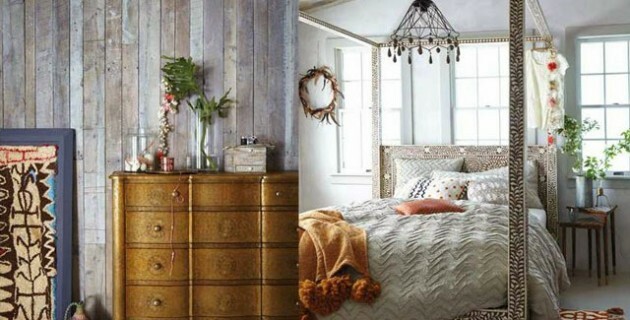 I want to share the top 11 fall home decor trends that will make your autumn so much better! 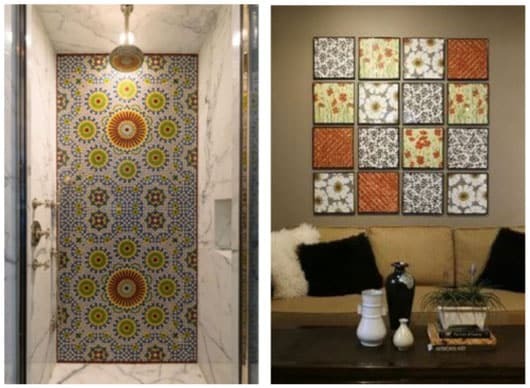 Taking inspiration from ancient tile patterns, these warm symmetrical pieces with a hint of orange color can warm up your home. This beautiful shower is from the home of Robert Pattinson- what a vision! 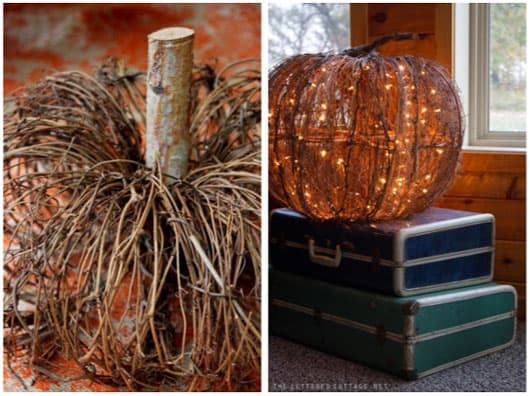 Add a subtle pumpkin to your home in the form of these lovely vine sculptures. 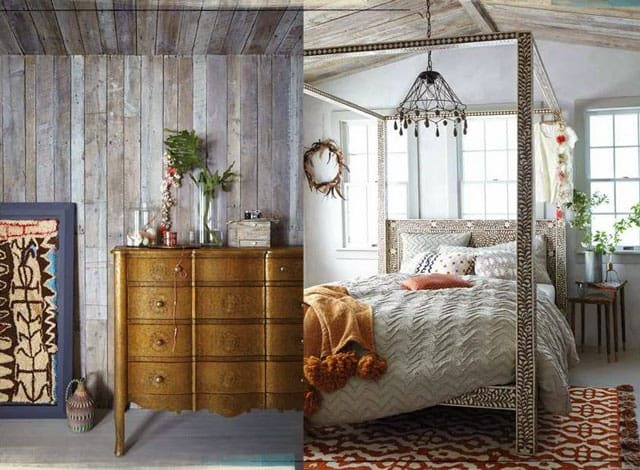 For extra glam, just add fairy lights! Whether you arrange them in your home or place on the front porch, their presence will give you that fall vibe. An alternative to large pumpkins….are mini pumpkins! 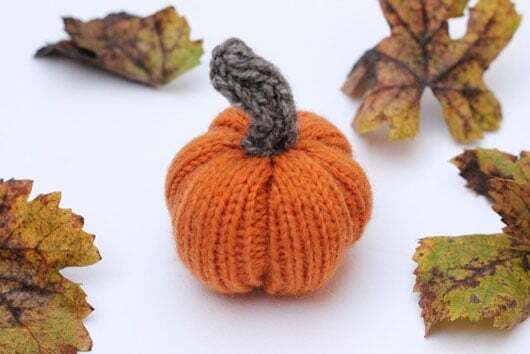 If you are a crafty type, make your own mini pumpkins with a free knitting pattern from handylittleme. They can be used as home decor accessories, or to decorate your table for Thanksgiving! Paisley napkins are a brilliant way to transform your table and get it ready for fall. You can add a monogram for an extra-special personal touch! 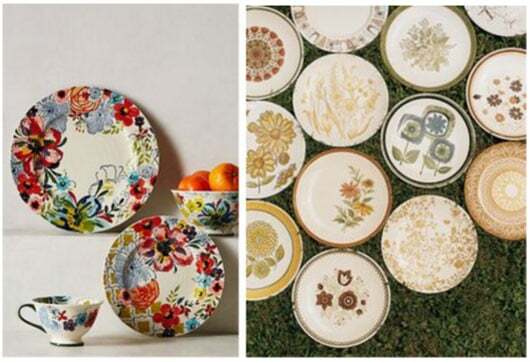 Make your dinner parties worth the effort with some must-have patterned dinnerware! Get something bold and beautiful like these floral plates, or go for a more understated pattern that incorporates subtle fall colors. 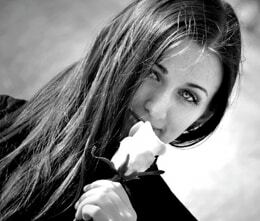 I love the bold flowers, they make such a statement! For an autumnal look in your space, add an area rug that incorporates all the colors of the season. 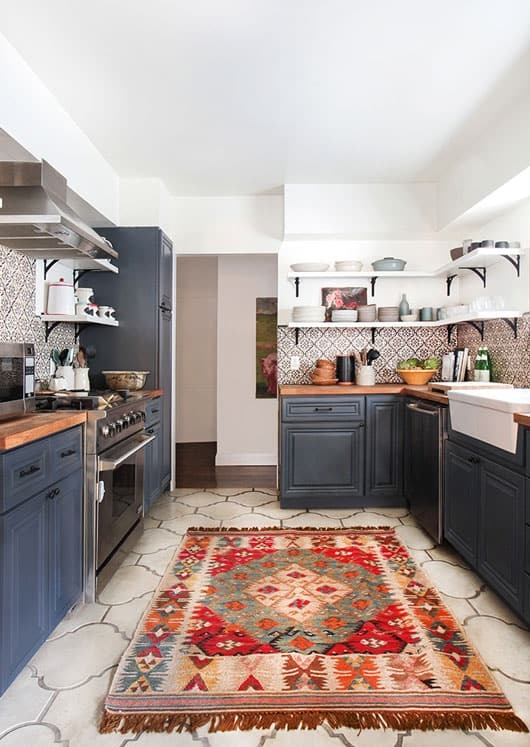 Look at this kitchen, by designer and stylist Emily Henderson, which features a rug with reds, greens, and browns - all adding a perfect pop of fall color. The space instantly feels warmer! 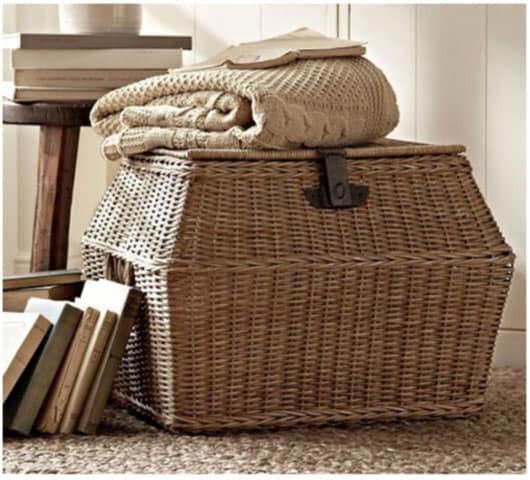 Create a fall look using natural decor with the addition of woven baskets. They are perfect for storage and look chic! 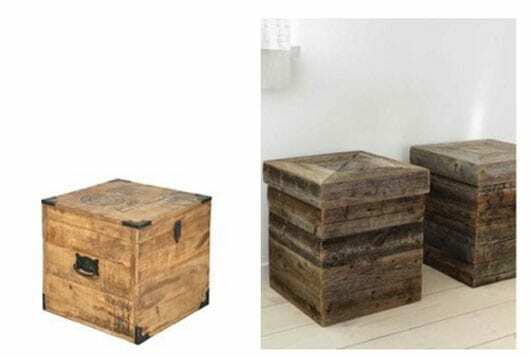 For another storage solution, a wooden storage cube makes a rustic choice and a super trendy side table. A wonderful place to hide those unfinished craft projects or sweet treats! 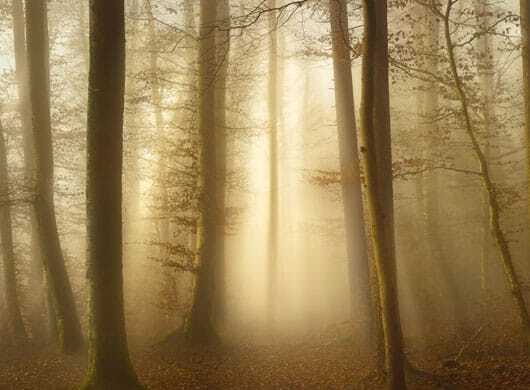 Put away any summery artwork and update your space with an atmospheric autumn wall mural. 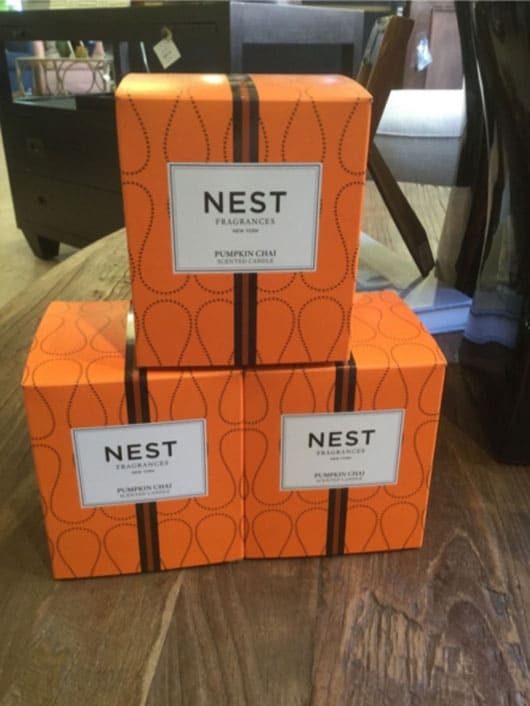 Something that gives you the fall vibes will make your home feel cozy! 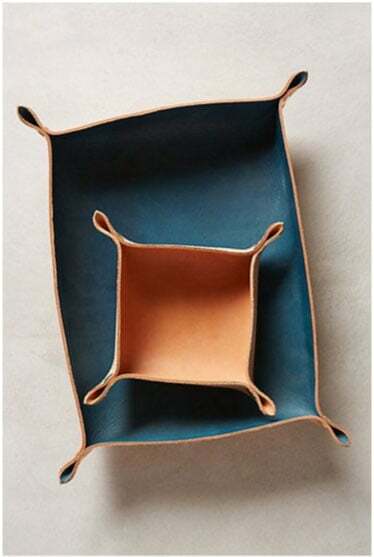 Leather and wooden trays are a great choice for serving coffee, or having your breakfast in bed, this fall. The Leather trays also work as a great storage option for keys and phones, too. Stylish storage has never had so many options! A stylish memo board is a clean and easy way to leave notes and important to-do messages. 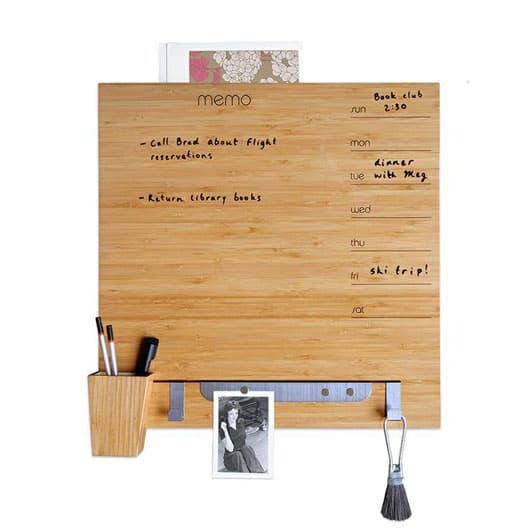 Get organized this fall by using a trendy, bamboo memo board - like this one! Make your home smell like fall with a pumpkin chai scented candle. 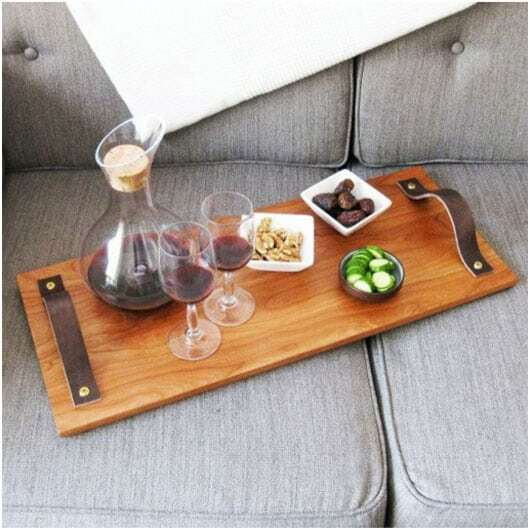 Nandina Home and Design has so many cozy, fall chic ideas in their latest blog post, including the latest goodies in their Atlanta and Aiken stores. There are so many autumn scented candles to choose from you’re sure to find the perfect scent - or scents - for your home, this fall! 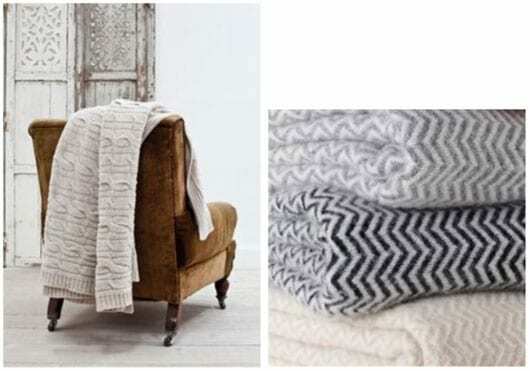 Invest in a cashmere throw and your nights on the sofa will always be warm and cozy! 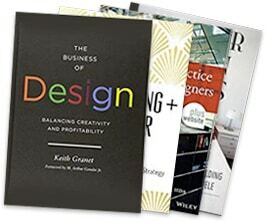 With a cup of hot chocolate and a good read, this is the perfect way to relax and unwind! Whatever you do this fall, make your home into a cozy sanctuary! 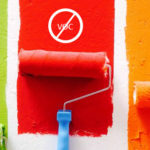 Are you changing your home for the season?